As the holiday season winds down, I want to wish you all the best for this and the coming year. May you be happy, healthy, and surrounded by love in 2012! Before 2011 disappears completely, though, Omnific Publishing has one last gift to give. Through December 31, 2011, if you purchase one ebook from their online store, you can get a second 50% off. Just use check out code ebooks2011. As a continuation of my kindle saga, I bring to you Amazon’s newest feature: @author. Billed as a way to connect readers and writers, it allows kindle readers to message the author from within the book. Neat, huh? So the reader can highlight an excerpt while reading and ask about it (and everyone will see it). Um, can you say “spoiler”? My first reaction is to wonder who would use this. I have read books where I really wondered where the author was going, or if they’d ever get around to closing a loop they started early on – but I wouldn’t stop reading to ask them. If I really wanted to know, I’d just skip ahead. The answer should be in the book in my hands, right? All I have to do is read it. If I do have a question for the author, there’s usually umpty-seven ways to reach them – if they want to be reached. But right in the middle of a book? I don’t know. What do you think? This feature is still in the testing phase, and hasn’t really been touted by Amazon (yet?). Would you stop in the middle of a story to send the author a message about the story? Do you see another benefit to this feature as readers or writers that I’m missing? Or is this just a different version of twitter/facebook/forum? This probably won’t be a surprise to many, but I love my kindle. I still read “real” books, but I love the convenience and selection I get on my ereader. It’s so great that I even loaded my high-school-age daughter’s summer reading books on it – the classics, like Dante’s Inferno, were free! What I didn’t take into account was that when school started, she’d need to take her summer reading books to school. You see, the high school has strict rules about many things. No drugs. No weapons. No suggestive clothing. AND…no electronics. I knew the intention of the rule was to keep kids from playing video games or listening to their iPods during class, but would the school be discriminating enough to know the difference between an MP3 player and an electronic book? Luckily, the answer was yes. In fact, the instructor’s response was “I was wondering when these would start showing up.” Another student also had her kindle in class, and everything was fine. Now I’m left with a different dilemma. I know a kindle (or nook) is in both my kids’ futures. They’re avid readers, and would definitely use them. I’d also like to think their rooms might be a little cleaner without the piles of books everywhere (yeah, right). It’s just a matter of time. My question to you today is, how do you manage a child’s ereader? Do they have their own amazon/B&N account, or do you connect them to yours? 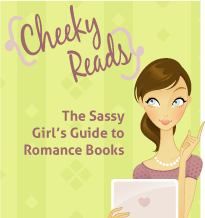 I wish amazon had a way to lock individual books or collections with a password – then I wouldn’t have to worry about my kids picking up my kindle and reading one of the hot romance novels I have on it. If you have a nook, I’d like to hear from you, too. The library lending feature is something I think would be great for kids. And, just so you know, Christmas is only 108 days away. What’s the Author! Author! Blog Bounce?? Well, it’s a fun way for readers to find new authors and for authors to connect with their readers! Authors, all you have to do is grab the icon, grab the link, make a blog post (don’t forget to include the link! ), and enter your blog on our list. Easy peasy! Readers…you have the easy job. Just follow the bounce and visit the authors. Leave a comment and let them know that you were there. Happily Ever After – Reads is giving away a print copy of Whirlwind along with posting my discussion of how hard it is to keep up with the changing times. Contemporary writers face a real challenge trying to keep up with what’s hot today, especially when it comes to technology. You can also read Kristin’s review of Whirlwind HERE. Come back TOMORROW for the LIVE CHAT at 8:00pm EDT (5:00pm PDT), moderated by our host, Missie of The Unread Reader. Sign up for a free account at TalkShoe and either call in or type in your questions. No matter which way you choose, you’ll be able to hear my answers through your speakers. We’re celebrating the end of the Whirlwind Blog Tour and partying. CLICK HERE TO FIND OUT MORE ABOUT THE CHAT PARTY!